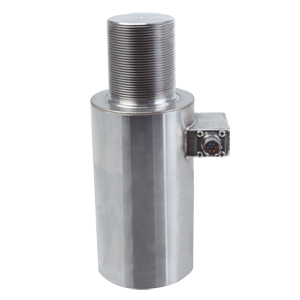 OMEGA’s LC704/714 Series tension link load cells have a male to female thread connection; LC704 with a 1.8 m (6') cable, and LC714 with an integral connector. Both series are comprised of all stainless steel. Applications include cables on cranes, support rods in architectural designs, engine test beds, suspension bridges and industrial weighing. 注: Comes complete with 5-point NIST-traceable calibration and 59 kO shunt data.